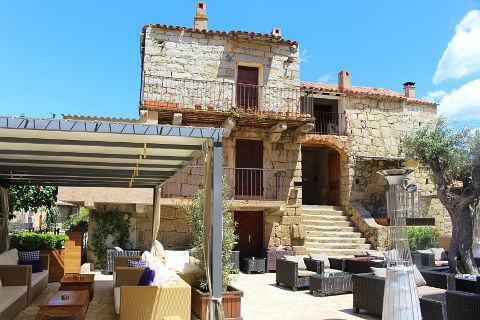 On the south-eastern coast of Corsica, Porto-Vecchio is a very popular place with tourists. It is a town built on salt marshes and salt continues to play an important role in the town. In fact it was the marshes that prevented earlier development of the town, because they were infested with mosquitoes and malaria until well into the 20th century. If you visit in September you can still witness the annual salt harvest from the Porte Gènoise. More recently the marshes have been drained and improved communication links have enabled the town to develop its role as seaside resort - a role to which it is admirably suited, given its location overlooking a lovely harbour. After a period of prosperity due to cork production, the town has in recent decades given way to tourism and now has something of a jet-set reputation with several media personalities having second homes here. It is largely the renowned beaches and coastline to the south of the town that are the big attraction, but the town itself also merits investigation. It is a lively seaside town with a welcoming personality. 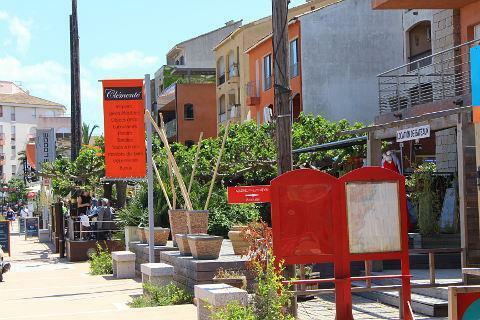 Start your visit at the marina, an attractive area with the expected cafes and restaurants overlooking the harbour. This area is always good for a meal or a drink or simply a bit of people watching. 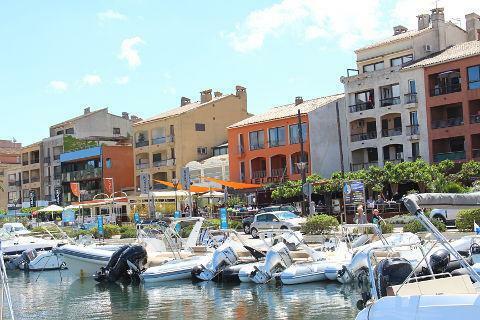 The old town of Porto Vecchio sits above the bay and the marina and often has views over the sea. The town is centered around the Place de la Republique and the narrow streets around the square. 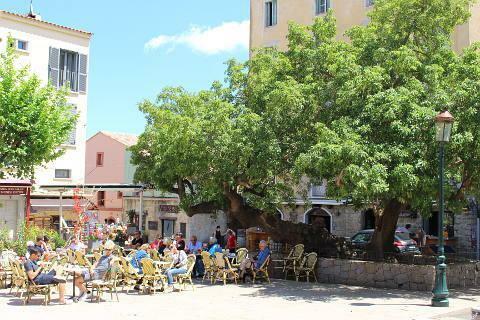 Place de la Republique is shaded by a huge tree which shades the outdoor tables of the cafes. 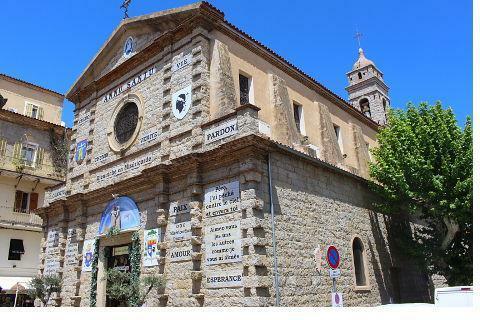 Next to the square there are some lovely ancient buildings pressing in on narrow streets. Notable historic monuments here include the imposing genoese entrance into the old town, the Church of Saint John the Baptist, and a fortress - the Bastion de France - and other parts of the historical defences. The granite church is quite distinctive as it is covered in short religious messages such as 'Pardon', 'Charity' and 'love others as I have loved you'. The fortress is now a gallery and hosts various exhibitions. 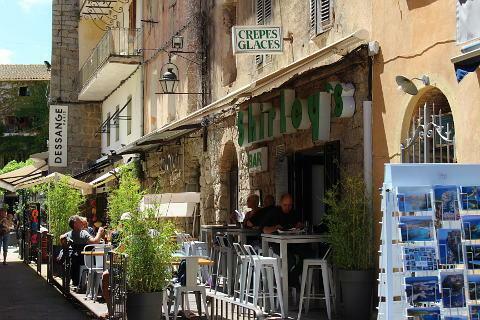 During the summer evenings especially, the streets of the old town come to life with music and entertainment - it is predominantly Italians that pass their holidays here. 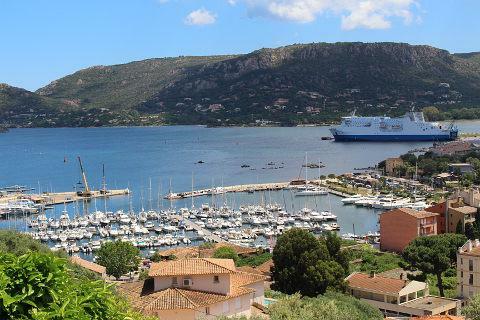 Porto-Vecchio makes a good base for exploring this part of Corsica - and beach lovers are spoiled for choice. There are several very attractive beaches around the town, in particular to the south of the town, including Palombaggia, Tamaricciu and Santa Giulia beaches, all internationally renowned for their beauty. When it all gets too hot and crowded on the coast (as it tends to, in the height of summer) the mountainous landscape behind Porto-Vecchio also has a lot of rewarding and interesting scenery to explore, with craggy mountain tops looming from behind the parasol pines from across small mountainous lakes - in particular near the Col du Bavella. There are several prehistoric sites inland from the town including those at Tappa and Sotta.